I love books that are gospel-centered. Love them. 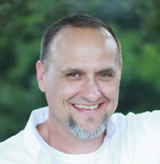 As a Presbyterian minister, I am constantly looking for curriculum that emphasizes the gospel rather than moralizing God’s Word. You may think that would be easy. Afterall, there are tons of Christian material out there. It should be easy to find stuff that elevates the gospel. Right? Wrong. Not so. There is indeed a lot of “Christian” material, yet so much of it comes from a What-Would-Jesus-Do, how should we behave, let’s all follow Christ’s example, moralistic mindset. So, when I come across a book that is committed to exalting Christ and elevating the Gospel, I jump all over it. A couple of weeks ago our Children’s Director at Surfside Presbyterian (Jennifer Cronk, who is awesome by the way) put a very special children’s book on my desk. 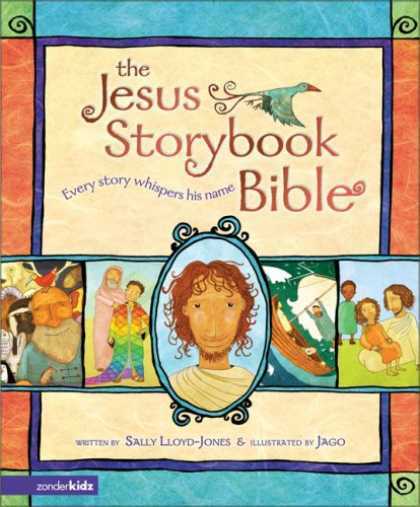 The Jesus Storybook Bible by Sally Lloyd-Jones. The Storybook Bible is a magnificent little book that does a fantastic job of capturing the overarching Gospel message of Scripture. In the book, Jesus is always front and center. Every story moves toward Jesus as the central figure, the hero, the Savior, and the shepherd; the Son of God and the Messiah who was coming to save God’s children from sin and death. So, if you have a child, or grandchild, or think like a child, or read like a child, and you love the gospel of Christ, then you should order this book. Not only will it help your children get the gospel, it will help you get it too. I have included some links to learn more about this great book. 1 – A web-site introducing the Jesus Storybook Bible, 2 – An interview with Sally Lloyd-Jones by Dan Cruver found on Eucatastrophe, 3 – The Storybook Bible from Amazon.com, 4 – The Storybook Bible is also available on DVD. I’ve included a video excerpt below. Click here to order The Storybook Bible from Amazon! This entry was posted in Book Reviews, Resources and tagged Jesus Storybook Bible, Sally Lloyd-Jones. Bookmark the permalink. This book is on my top books that have really impacted me. I bought it for my daughter and have been floored by it ever since. It’s really amazing, well written and beautiful in illustrations. It made me sad when I clicked the youtube video, and then on to the JSB website. I wish Christian publishing would leave it alone. The first thing that screams out at me is the “Deluxe Edition” I can even buy the E-book JSB. (which costs the same as the hard cover ed.) It made me feel like when you get a great song stuck in your head then you see the music video and you know that you’ll never get that horrid video out of your mind. I’ll end this before it turns into a rant but it just makes me sad. Yet happy as I read my daughter the resurrection story this Easter. Dave, I hear what you’re saying. The media and publishers have unfortunately over-hyped the JSB. Still, it is fine wine. It will stand the test of time and will continue to be a great help to parents and children’s workers alike. I would compare the JSB to the movie “It’s a Wonderful Life”. I have probably watched that movie close to 50 times. Yet, it is such a great movie, no matter how many times I see it, it still seems fresh. The Gospel itself has this effect on me. No matter how many times I hear it, it never grows old.